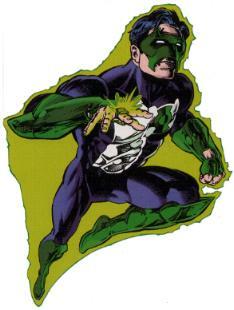 First Appearance: Green Lantern (vol. 3) #48 (Jan. 1994): "The Past"
Anarky (vol. 2) #2 (June 1999): "Aberration Part Two: Green for Danger"
Anarky (vol. 2) #3 (July 1999): "Aberration Part Three: Wishing Well"
Green Lantern (vol. 3) #48 (Jan. 1994): "The Past"
Green Lantern Corps: Recharge #1 (Nov. 2005): "The Gathering"